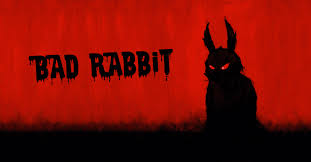 Bad Rabbit is a previously unknown ransomware family. The ransomware dropper was distributed with the help of drive-by-attacjs. While the target is visiting a legitimate website, a malware dropper is being downloaded from the threat actor’s infrastructure. No exploits were used, so the victim would have to manually execute the malware dropper, which pretends to be an Adobe Flash installer. However, our analysis confirmed that Bad Rabbit uses the EternalRomance exploit as an infection vector to spread within corporate networks. The same exploit was used in the ExPetr. Most of the targets are located in Russia. Similar but fewer attacks have also been seen in other countries – Ukraine, Turkey and Germany. Overall, there are almost 200 targets, according to the KSN statistics. Since when does Kaspersky Lab detect the threat? Karspersky Lab have been proactively detecting the original vector attack since it began on the morning of October 24. The attack lasted until midday, although ongoing attacks were detected at 19.55 Moscow time. The server from which the Bad rabbit dropper was distributed went down in the evening (Moscow time). How is it different to ExPetr? Or it is the same malware? Our observations suggest that this been a targeted attack against corporate networks, using methods similar to those used during the ExPetr attack. What’s more, the code analysis showed a notable similarity between the code of ExPetr and Bad Rabbit binaries.